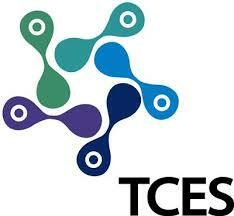 What better way to celebrate our relaunch as Manchester BIOGEL, than to become a Platinum Sponsor for the Tissue and Cell Engineering Society (TCES) 2018 conference. This society aims to further knowledge, research and dissemination of information on cell and tissue engineering and every year world-class research in this field is presented and discussed at the conference. This year the TCES conference was held at Keele University, the UKs largest campus university, set in a beautiful 630-acre woodland estate. The calibre of research was as high as ever, with Dr James Phillips talking about his groups work on engineered neural tissue (EngNT) to accelerate peripheral nerve regeneration, Prof. Jon Clarke speaking about the inside-out axis of the brain in zebrafish, and Prof. Matthew Dalby delivering the Adam Curtis Memorial Lecture on their work together to investigate nanoscale topography and cell adhesion. Our presentation on the first day generated lots of interest and we spent most of our days inside, away from the sunshine, talking to old and new customers. A number of researchers also presented posters on their work with our products. One highlight was Helen Clough, a PhD student in the Manchester CDT for Regenerative Medicine at The University of Manchester, spoke about her work with PeptiGels® functionalised with laminin for the development of 3D vascularised multicellular cancer spheroids. The conference finished on a high with Prof. Nick Forsyth delivering oral and poster prizes at the closing address, and also with England beating Sweden to make it to the World Cup semi-final. 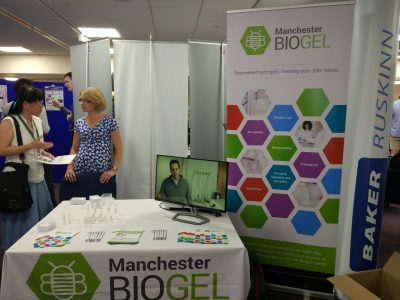 Thanks to everyone who made our first Manchester BIOGEL conference so enjoyable. We’ll see you all next year!